Why are there so many wonderful Irish women writers? 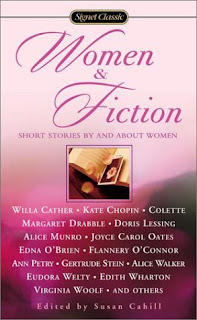 I read more than a few short stories while contemplating what to post for Irish Short Story Week (which actually runs for about two weeks), hosted by Mel from The Reading Life, many from my book Women & Fiction: Short Stories By and About Women, edited by Susan Cahill. I read stories by Flannery O'Connor, Carson McCullers, Alice Munro (not Irish), and the author whose story I've chosen to focus on, Mary Lavin. As I read, I became more and more enthralled by short stories as a genre; I even read some online, which is not my favorite way to read stories (I prefer the intimacy of reading from an actual book, in a chair or in bed). Mel often credits me for sparking his interest in short stories, but now it's his Irish Short Story challenge that has reinvigorated my interest in them. Mary Lavin (1912–1996) was an Irish short story writer and novelist. Her work often featured feminist issues and concerns, and she is considered to be a pioneer. Born in East Walpole, MA, she moved to Ireland with her family at the age of ten, and later attended Loreto College, a convent school in Dublin, before studying English and French at University College Dublin (UCD). In 1943, Mary Lavin married William Walsh, a Dublin lawyer, and also published her first book, Tales from Bective Bridge, a collection of short stories about life in rural Ireland. She was widowed in 1954, after she had achieved considerable success as a writer (she received numerous honors and awards), and was left with a farm and three children to take care of. Although she wrote two long novels, she was partial to short stories, and wished she could break her novels up into short stories. Mary Lavin felt that it was in the short story that "a writer distills the essence of his (or her) thought", that the short story "is determined by the writer's own character", and that short-story writing is "only looking closer than normal into the human heart. . . ."
This is a remarkable story about two meetings in a café: Mary meets Johann by chance while waiting for Maudie. A visit to a café may sound like a simple, ordinary occurrence, but the author transforms it into a larger event by presenting the emotional life of the protagonist, Mary, in an uncannily realistic and believable manner. Mary compares herself to Maudie (who is young and attractive enough to remarry), and feels old and dowdy in comparison--and lonely. She find herself drawn to the artist, and yet she is also thinking about and remembering her deceased husband, Richard. Mary Lavin depicts many varied human emotions in this short story through the innermost thoughts of Mary, including love, worry, resentment, guilt, despair, loneliness, and hope. In a Café is a marvelous example of short fiction by Mary Lavin. It's somewhat autobiographical in that both the author and the protagonist were widows named Mary who had farms and children to take care of. I read this story in my book, Women & Fiction, a terrific source of short fiction by women. Special thanks to Mel from The Reading Life for hosting Irish Short Story Week for the second consecutive year. Suko, for sure it was you that lead me to overcome my unfounded prejudice against short stories. I am very glad you posted on Mary Lavin. please check my blog tommorowvwhen a well known Irish short story writer talks of how a youthful encounter with Mary Lavin inspired her to write. 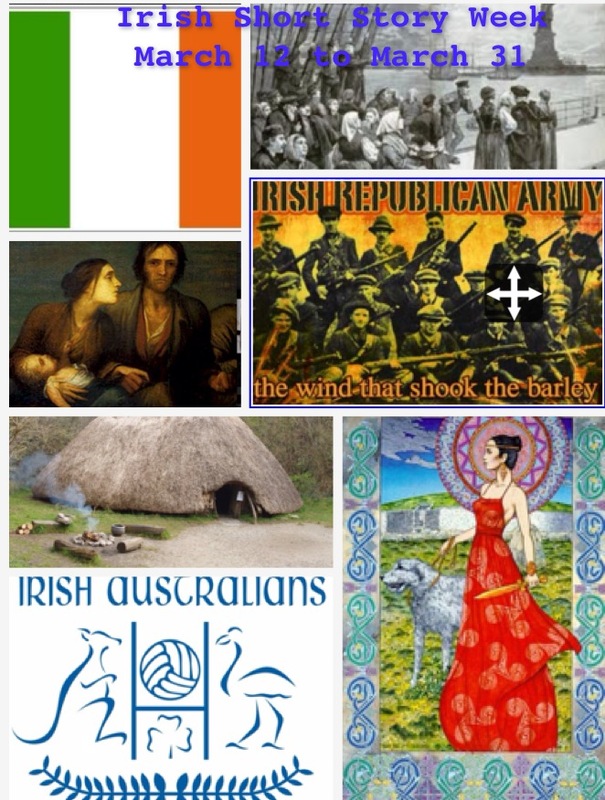 Not Irish authors I have heard of, I was thinking of more modern Irish writers, thanks for the list. I hadn't ever heard of Lavin, but you have certainly given me some food for thought when it comes to checking out Irish authors! 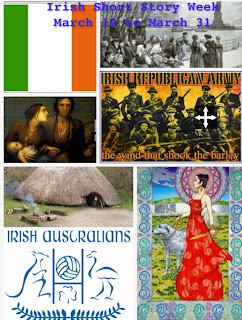 I am Irish, so you would think that I would be more familiar with this kind of writing! Great review today. It's nice to see the well-rounded approach you took! Excellent post! I haven't heard of these authors. Wonderful post Suko. I hadn't heard of this author before. I must check her work out , I do enjoy short stories very much. I think it takes great talent to write a short story that works well. In A Cafe sounds very good, now you've got me wondering what happened to these three people. My favorite contemporary Irish writer is Tana French and she has a new book coming out this summer!! Your post is wonderful, Suko and so interesting ! I'm not at all a short stories'reader, but after reading what you wrote I think I'll give thel a try. Can you say me who are your favorite short-stories authors ? Annie, the women writers I mention in this post are new favorites of mine. I also have a post which has numerous short story links in it called Sundry Short Stories:http://www.sukosnotebook.net/2010/02/sundry-short-stories.html (I stopped adding to it as it became too large). While Alice Munro is not Irish, her short story The Office is an excellent story about the experience of being a writer before it became more acceptable for women to do so--a personal fave! Thanks, Suko to have take the time to answer my question ! I'll read your post and try. This makes me want to read more short stories, including the ones in this book! Hoping all is well, I just wanted to stop by to say hello.